The Seattle passing game consisted almost entirely of short, quick passes, with just a few intermediate and deep targets all game. But Russell Wilson was efficient on the shorter passes, completing 19-of-24 targeted passes on the day. Running back Mike Davis was given the bulk of the touches for the first time this season, and he didn’t disappoint. He showed excellent vision and often plowed through contact. Davis topped the 100-yard rushing mark for the first time in his career and doubled his career touchdowns coming into the game. Seahawks defensive interior Jarran Reed and edge defender Frank Clark stood out among the defensive linemen. Reed recorded two tackles for loss and was able to pressure the quarterback on multiple occasions, whle Clark generated pressure from the edge a couple times. The Seahawks’ defense held their ground late in the fourth quarter, leading to a missed field goal by Phil Dawson. Statistically, it was a nice day for the defense, as they held the Cardinals under 300 yards of offense, but they lost one of their leaders in Earl Thomas to a leg injury. It will be interesting to see how the unit adapts to such a key loss. Even though he didn’t get the win, it was a nice debut for Cardinals rookie quarterback Josh Rosen. Drops plagued the Cardinals’ offense for the first half, which took away a few big plays from Rosen. He ended the day by going 15-of-27 for 180 yards and a touchdown. As a unit, the offense looked much more potent today than they had in the first three weeks of the season. David Johnson was utilized much more compared to recent weeks, as he rushed the ball 22 times for 71 yards and caught three passes for 41 yards. Larry Fitzgerald was Rosen’s favorite receiver, but he caught just three of seven targets for 28 yards on the day. 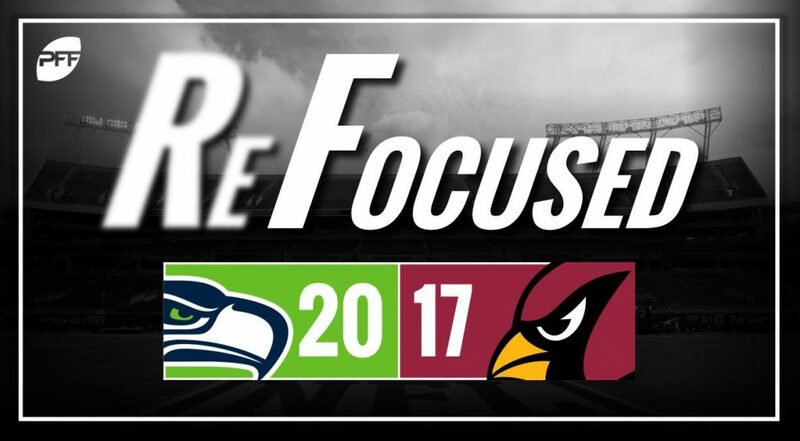 Despite going up against the Seattle offensive line, the Cardinals were not able to get all that much pressure on Wilson. One of their two sacks came due to Haason Reddick being unblocked, and they rarely affected Wilson otherwise. Typically, Antoine Bethea is a sure tackler, but he opened the game with missed tackles on back-to-back plays against Davis and later added a third to match his entire missed tackle count in 2017. When it came down to the end, the Seahawks were able to efficiently move the ball down the field for the final drive to set up Sebastian Janikowski to redeem himself for two missed field goals earlier in the game. Rosen was impressive in his first career start, but drops and missed field goals led to the Cardinals’ fourth consecutive loss.